Every OT knows that sloppy slippers can lead to falls, and is only too well aware of the devastating consequences falls can have on a person’s physical and emotional wellbeing, as well as their ability to cope at home. Typically our feet and ankles swell as we age, and this can lead to poorly fitting footwear. It’s all too easy for a vulnerable person not to realise that a foot pushed into a slipper with a trodden down back results in an accident waiting to happen. And when shoes no longer fit and are no longer comfy, there is little incentive to exercise and maintain a level of fitness. 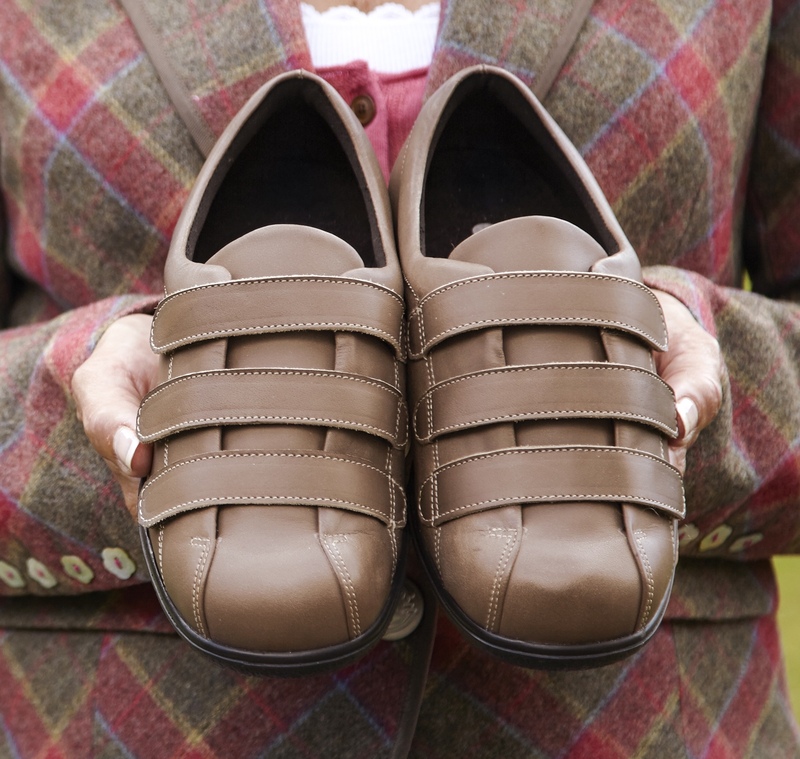 It goes without saying that securely fitting footwear is essential for falls prevention. Many older people need footwear specially made to accommodate and protect swollen feet and ankles, and are unaware that such footwear can be purchased free of VAT if their swelling is the result of a chronic medical condition such as diabetes. Diabetes sufferers also benefit from seam-free footwear made to avoid rubbing, which can lead to ulcers that are hard to heal. 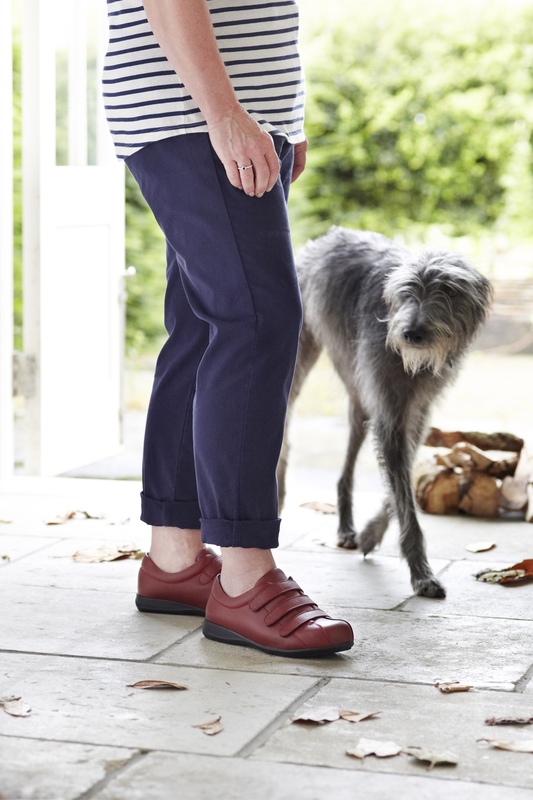 The Alison shoe, from Cosyfeet, is completely seam-free, which is ideal for those with swelling. The three touch-fastening straps permit easy adjustment to accommodate swollen or misshapen feet and hold them securely and safely. A shock-absorbing sole adds stability to the foot and ankle, and the cushioned footbed is designed to be removable to allow for the use of orthotics, or to provide even more depth for the foot, if required. 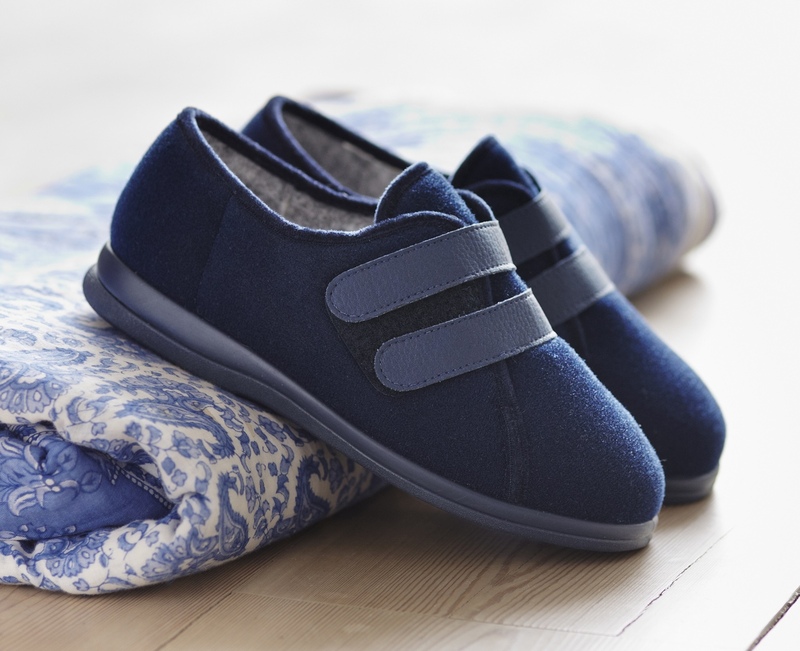 For the same safety benefits in a slipper, the Amelia is a super-adjustable, extra-roomy house shoe that provides warmth and comfort along with the stability of an outdoor shoe. Like the Alison, the Amelia opens right out to make it easy to put on and take off a swollen foot. It has a supportive back for stability as well as extra secure touch-fastenings for added support. The Amelia also has a removable comfort footbed, which is idea for orthotics if required. Strap extensions can be purchased for the Alison and the Amelia for especially swollen feet. Both styles are available in a range of colours and come in an EEEEE+ width fitting as standard. The Alison is priced at £72.00, or £60.00 if patients qualify for VAT relief. The Amelia is priced at £32.00, or £26.67 is patients qualify for VAT relief. NextThe Jan/Feb Issue is out now!